Use our historical data to look back in time and analyse your operations and our forecast data to avoid weather surprises. Carefully designed to support maritime operations - created by mariners for mariners. 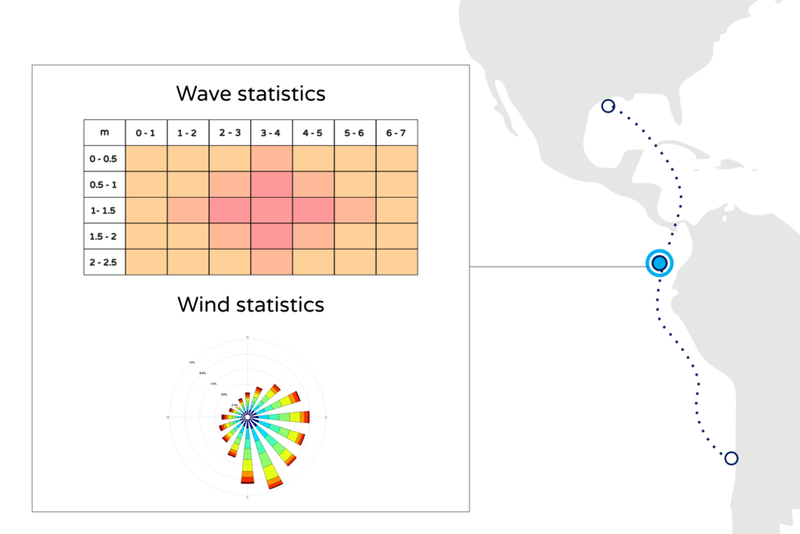 No limits: wind, wave and ocean current historical and forecast data available for anywhere in the world. Marine weather data from in-house models run by our team of expert scientists. Data period: -4 weeks to +7 days.